This from Baptist Press as reported by the Southern Baptist International Mission Board's communications staff. Southern Baptists – and others -- can contribute to “Haiti Earthquake Disaster Relief” through their local Southern Baptist church or directly to their state convention, the North American Mission Board or the International Mission Board. The North American Mission Board has set up a Haiti disaster relief fund that will direct money to state conventions and other Southern Baptists who are doing relief work in Haiti. Donations may be made online, www.NAMB.netwww.namb.net, by phone, (866) 407-6262, or by mail, North American Mission Board, P.O. Box 116543, Atlanta, GA 30368-6543. 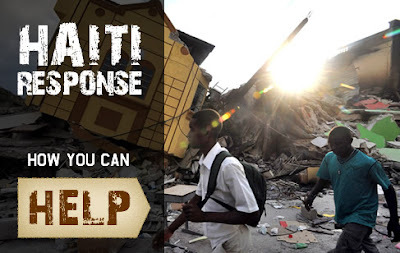 Make checks payable to “Haiti Disaster Relief Fund/NAMB." Initial funding for the relief effort will come from the International Mission Board's disaster relief fund. Contributions can be made online, www.imb.orgwww.imb.org, or by mail, International Mission Board, P.O. Box 6767, Richmond, VA 23230. Regardless of the SBC channel, all funds received for this purpose will go to relief efforts; none will be used for administrative costs.